Massive MIMO is an antenna technology that is considered the most promising for future superfast 5G networks, although researchers have until now believed that there is an upper limit for how much data can be transferred. Emil Björnson, associate professor at Linköping University, has together with colleagues, shown that there is no such limit. 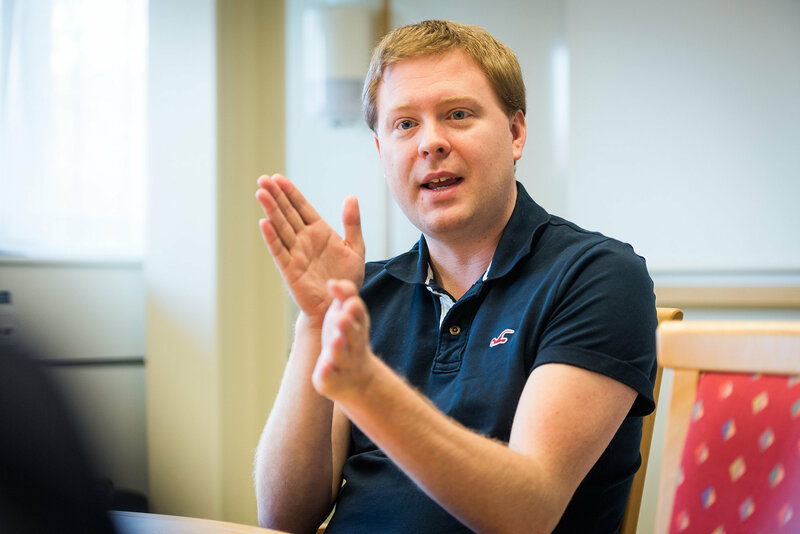 “We can show that massive MIMO has unlimited capacity, both mathematically and with the aid of simulations,” says Emil Björnson, associate professor in communication systems at Linköping University. The massive MIMO technology aroused the interest of 5G researchers at an early stage. However, during the past five to ten years the research community has agreed that there is an upper limit to how much data can be transferred wirelessly per second, given a certain bandwidth and within a certain area. The limiting factor has been a type of disturbance that arises when measuring how the wireless signals travel, known by researchers as “pilot contamination”. “This conclusion is the result of us using a model that was far too focused on reseach tractability and a method that was too simple,” says Emil Björnson. By deploying more antennas and processing the signals that are transmitted and received from them in the right way, we can create a system in which there is no upper limit for how much data can be transferred. He has presented the evidence for this in collaboration with colleagues in France and Italy in an article that has been published both in the open service Arxiv and in the IEEE digital service Xplore. The simulation code is also freely available at Github for anyone who doubts the results and wants to validate them. MIMO is an acronym for “Multiple Input, Multiple Output” and the technology involves connecting hundreds of small antennas, each with a power of around 10 mW, either in something that can resemble a large computer monitor or distributed across the façade of a building. All the antennas send a few tens of signals with carefully determined delays. The delays are chosen so that the copies of a signal arrive at the intended receivers at exactly the same instant, but at slightly different times at all other receivers. This gives a strong signal at the intended receiver and only a slight disturbance at all the others. Pilot contamination arises when the delays are to be estimated using signals known as “pilots”. One hundred antennas each of 10 mW gives a power of 1 W, which is distributed among the users. This is considerably less than the 40 W that current antennas use. The low power is enough, since each signal is given in a specified direction. Massive MIMO thus provides a combination of low output power, high energy efficiency and superior capacity, since many receivers can receive signals at the same time. What the new calculations and simulations have shown is that the capacity is infinite. “The consequence is that we can continue to deploy increasing numbers of antennas, as people consume ever increasing amounts of wireless data, and in this way satisfy the demand,” says Emil Björnson.